Pro Volleyball League 2019: A game-changing moment for the future of volleyball? As the first ever Pro Volleyball League enters its second week in Kochi, and awaits its arrival in Chennai on February 16, we caught up with top players from across the world and found out how their individual styles have evolved, and why they believe that aspects like speed of play and unique strategies will hook spectators and viewers alike in the first edition. Alex Bader, the Canadian attacker who plays for Black Hawks Hyderabad, is extremely optimistic about the impact of this league on the sport. “The tournament will not only draw many new fans to the game locally but also serve as an important showcase that allows many foreign countries that do not have professional volleyball, such as Canada, to see active players and fans of the game," he says. 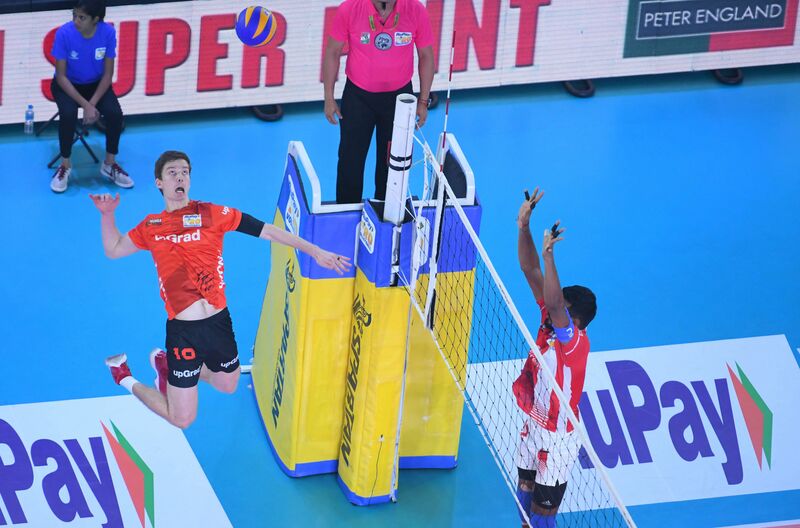 Nick El Bianco, also from Canada, who is playing for U Mumba Volley, says, “Professional volleyball is a fast-paced and exciting sport that not many people know enough about. I believe that when fans see the sport for the first time, it will be easy for them to get hooked and enjoy going to the games. 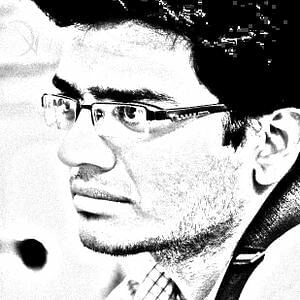 I think the organisers just need to continue to make it easy and comfortable for the competing athletes to focus on the competition and to treat the fans well.” His fellow countryman Rudy Verheoff, who plays for Chennai Spartans, says, “They are trying to make a pro league work well by changing the format and I believe it is a good step for volleyball.” Alex also mentions the evolution of the volleyball itself, stating that players need to adapt to the ever-changing feel of a new ball. With six teams competing against each other, the stakes are high in the initial rounds, and global stars like David Lee have already made an impact. 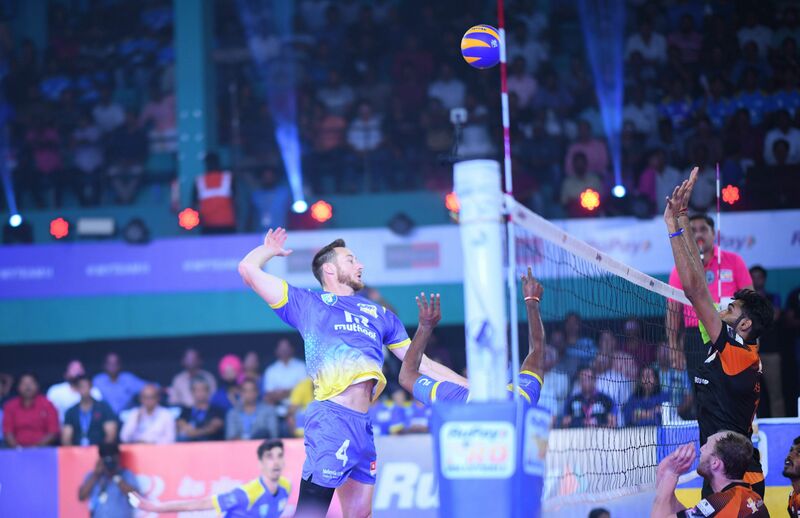 The Olympic gold medallist from USA, who plays as a blocker for Kochi Blue Spikers, shares his thoughts on the evolution of the sport over the years. “The game has become faster than before and top teams are pushing the limits of offensive speed. Also, many teams are winning matches from the service line,” he says, adding that if there is one change that he would like to see being implemented, it is less stoppage time between plays. The 36-year-old is even more forthcoming while assessing his own game, stating how, with age, he has been compelled to tweak his style of play. “In blocking, through the years, I have learned to read the body position of a setter to determine where the ball will be passed. Whilst in attack, I have adopted a faster style of play, which puts more pressure on the opponent middle blocker,” he explains. 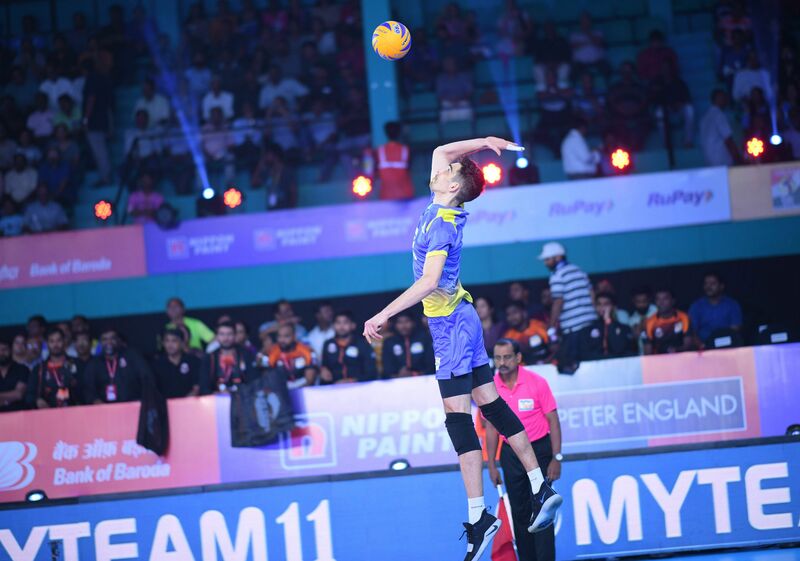 Serbian Novica Bjelica of the Ahmedabad Defenders, who says he would have been an archaeologist if not a volleyball player, hopes to see shorter sets of upto 15 points. “It would do some good to the sport, what with the game becoming more physical and faster these days,” he says. 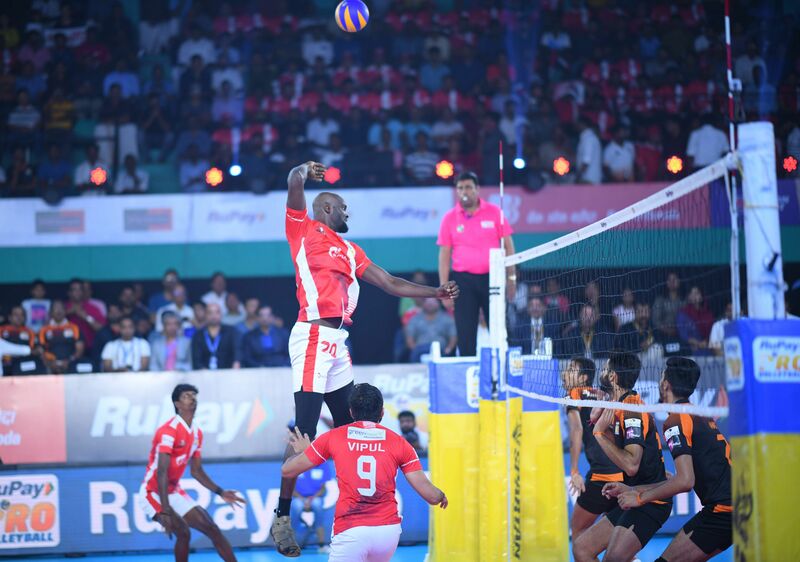 Ilouoni Ngampourou, a blocker from the Republic of Congo, who plays for Calicut Heroes, says he is excited to visit India for the first time. “There’s also more stress because this is the first edition. However, I hope my team will take me to watch a cricket match in a nearby stadium, because I have never seen one, even on television,” adds the engineering graduate who loves farming. 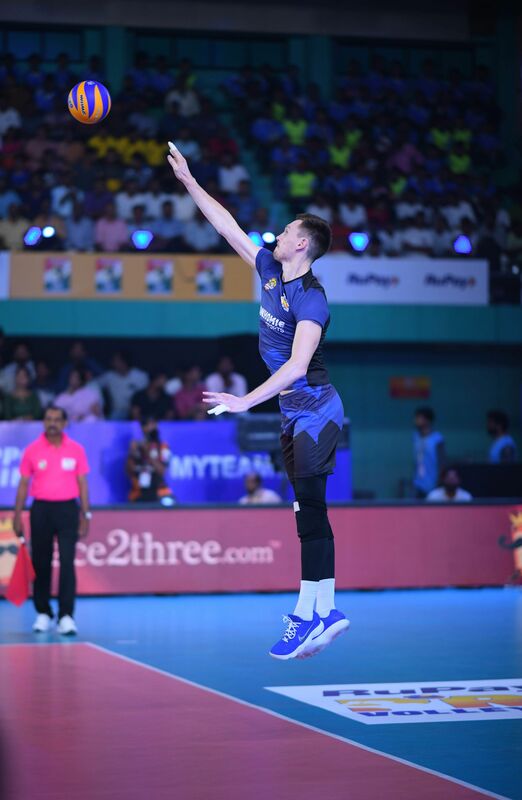 Ruslans Sorokins from Latvia, an attacker for Chennai Spartans, says that ever since he began to play volleyball late in his life, he was able to change his position from that of a middle-blocker to a receiver attacker. Novica seconds him, agreeing that positions and tactics rule the game now. “My experience over the years has helped me read the opponents and play a more tactical game,’ he says. February 16-22. Jawaharlal Nehru Stadium, Chennai.